West Chester, Ohio, USA; December 2018—Wallace Carlson Printing--a full-service commercial/packaging printer in Minnetonka, Minnesota, USA--recently received two silver awards in the 2018Printing Impressions Gold Ink Awards competition. The winning entries--Merry-Go-Round Self Promotion in the Packaging and Folding Carton category, and Color Chrome M/FX Swatchbook in the Sample Books and Swatchbooks category--were both produced using the Color-Logic metallic color process. Announcing the awards, Wallace Carlson COO Charlie Cox said: "The outstanding metallic special effects made possible with our Color-Logic software simply wowed the awards judges--just as they wow our clients and bring in profitable new business. 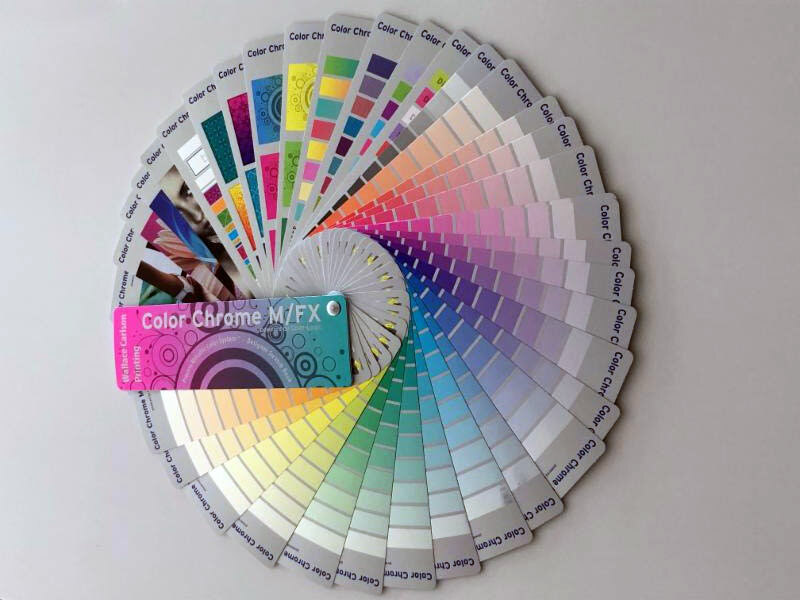 Licensing the Color-Logic process is one of the best procurement moves Wallace Carson has made in a long time." Wallace Carlson Printing, founded in 1931, is a certified woman-owned company specializing in marketing collateral, retail and product catalogs, packaging, and direct mail. Wallace Carlson licensed the Color-Logic process in 2018 to expand the capability of their Komori H-UV press in the packaging market. For more information about Wallace Carson Printing, log on to www.wallacecarlson.com.